The cloud that can help you save the day with on-demand infrastructure at great pay-as-you-go prices. In its prime, server virtualization helped solve the problems of server sprawl, the cost of buying new hardware, and the need for quick infrastructure capacity. But over time it's created new challenges for IT teams to deal with–like virtual machine sprawl, density, and the need to manage both physical and virtual resources. The cloud serves up the infrastructure you need, when you need it–anytime, anywhere–without the added burden of dealing issues like sprawl and density. Demand prediction also becomes an obsolete art for IT teams: With Azure, you have infrastructure capacity at your fingertips. Need more? Scale up in minutes, only paying for what you use. Need less? Scale down. Azure can save the day for customers and your command chain–delivering a high SLA to your developers and business units, all without paying a cent more until you use more.  Whether you're a Fortune 100 corporation or a growing startup, Azure can provide the scale, performance, and global reach your business demands. Kaydolun ve $200 değerinde Azure kredisine sahip olun. İstediğiniz hizmeti keşfetmeniz için tam erişim.